The start of the second quarter means the season of Spring is here. Besides the warmer weather that we all look forward to and enjoy, what often comes to mind during this time of year is the idea of “spring cleaning” – an opportunity to take a step back from our busy routines to tidy up our belongings. While most people apply the spring-cleaning tradition to their personal lives, the ongoing practice of clearing out the clutter can be introduced to your business in ways that help deliver more seamless processes and profitable outcomes. By design or coincidence, the month of April has been designated as National Records & Information Management Month, which was created to apply the principles of spring cleaning to the business world. Maybe one of the most important reasons why: disorderly and mismanaged business records have regularly led to major compliance, security and operational consequences. At FSI, our team is here to help eliminate those issues for you. Throughout April, our team will be sharing important facts about information management, as well as best practices and opportunities to tidy up the records that make up the operations of your business. As National Records & Information Management Month kicks off, keep an eye on our LinkedIn channel for those updates. Beyond just the month of April, our team at FSI continues to take pride in standing at the forefront of innovation. One of our core beliefs is that we must adapt to changing needs within the profession and therefore serve you in the most effective and meaningful way possible. Whether that’s through stronger records management, securing your sensitive data or being available to you through one simple phone call, we will always make your satisfaction and success our top priority. As the second quarter begins, we all look forward to connecting with you soon. 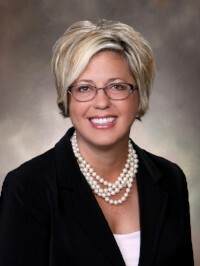 President and CEO, Funeral Services, Inc.
April is National Records & Information Management Month! The month of April is known as National Records and Information Management Month, which exists to emphasize the critical importance of keeping the books of your business properly reconciled, organized and secure. According to research from PwC, more than 60 percent of financial losses at the enterprise level are a direct result of compliance-related accidental breaches, such as misplaced files. This alarming statistic that further proves all funeral homes and cemeteries must have an effective records management program in place for its preneed and perpetual care trusts – an invaluable benefit all clients enjoy with FSI. To kick off National Records and Information Management Month, our President & CEO Bill Williams shares FSI’s best practices for recordkeeping that help automate workflow, enhance efficiency and keep you out of regulatory hot water. You may learn something new! Follow this link to our website to read about the best practices, and watch our video on each practice by clicking through the image below! 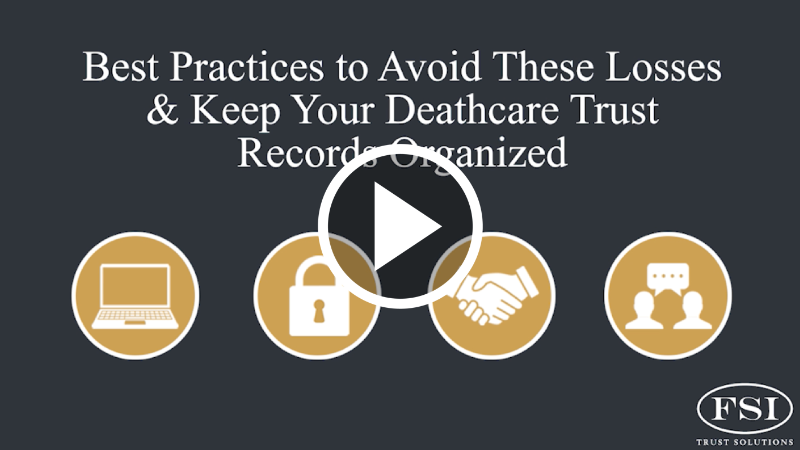 While FSI always strives to ensure its clients remain in compliance with all deathcare laws and regulations, we also want to educate you on changes or little-known details within the industry that impact your business. Our dear friend and general counsel, Wendy Russell Wiener, Esq., partner at Nelson Mullins Broad and Cassel, LLP, provides an insightful update on the regulations in the deathcare industry in each of our quarterly e-newsletters. Read on for Wendy’s insight on how online submission of transmittal reports equals compliance for your sales programs. Over the last quarter, FSI and fellow colleagues have been sought out to provide thought leadership on a variety of topics in several industry publications. Here’s a quick look at some of the most recent stories featuring FSI. 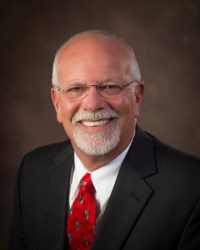 With nearly four decades of experience in every aspect of the funeral service profession, including ownership and management of funeral homes and cemeteries, Bill Williams has seen firsthand how dramatically the landscape of deathcare has changed. He was interviewed by ICCFA Magazine to share his perspective on the many strides the deathcare profession has made over the years. Read more by clicking here – and don’t miss the good picture of Bill from the early stages of his career! Doing Business Securely in the Cloud: Pie in the Sky, or Proven Practice? Doing business in the Cloud: if you are not doing it yet, you have definitely heard of it. According to Forbes, it is estimated that more than 83 percent of businesses will be “in the Cloud” by 2020. Some may see it as a “pie in the sky” trend, but it can serve as a major tool for transitioning your funeral home or cemetery into the future securely and successfully. Read more by clicking here. A growing number of perpetual care cemeteries continue to make the change to unitrust, a trust distribution method that transitions the investment goal of the trust to focus on increasing its total value and creating a higher total annual return. For an in-depth look on the unitrust model, Catholic Cemetery Magazine featured FSI to explain why many cemeterians are making the switch. Read more by clicking here. Every time FSI is published by industry media, the article is posted on FSItrust.com. Check our ‘Resources’ tab frequently for continuous updates on FSI news and coverage! FSI is made up of a dedicated team of experienced professionals who work each day to provide you with excellent service. Each individual brings an important skillset that assists us in powering your trust. To help you get to know the FSI team better, we shine a spotlight on one employee each quarter. 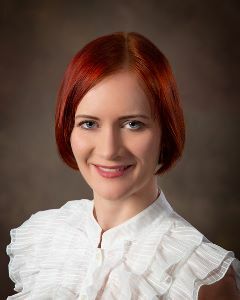 Polina Volkova started at FSI as an intern in 2008 and later joined as a full-time team member. As a Senior Software Developer, Polina works in the IT Department and maintains multiple databases for FSI clients. Polina’s favorite aspect of working at FSI is the team environment, as she feels everyone at FSI is regarded as family and has a positive, ready-to-work attitude. She also admires the fact that despite the significant success and growth of the company, FSI has not sacrificed its commitment to quality customer service and its strong internal culture. Polina believes the most significant achievement FSI has accomplished in recent years is its conversion to the new and exclusive computer system, PRISM, especially since it took less time than estimated to complete. With these advancements in technologies and the continued determination to innovate, FSI has enabled Polina to grow and develop her adaptability and teamwork skills since joining the company. It has allowed her to grow professionally and help the IT department serve clients effectively. Polina graduated from Florida State University with a master’s degree in computer science. Outside of the office, Polina spends her free time traveling the world with her husband. She has seen many of the national parks across the U.S., and also visited Hawaii, Alaska, Europe, Colombia, and more. Follow FSI’s LinkedIn channel for updates! Charlotte, North Carolina – Booth #728! Copyright © *|2017|*|Funeral Services, Inc.|*| All rights reserved.